Ho Chi Minh City will be the third location for the University’s Business Plan Competition, which awards $65,000 in cash prizes at the final round in Dayton. 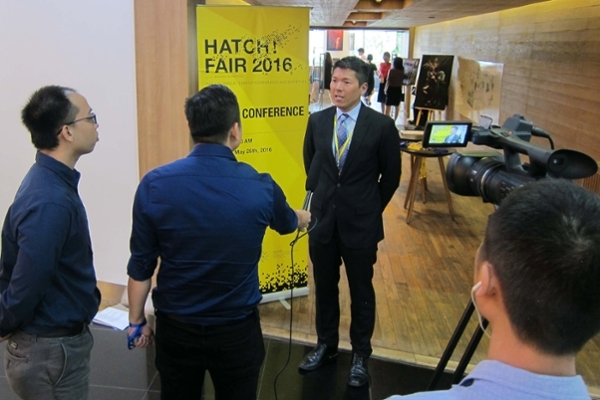 The partnership allows HATCH! BATTLE to extend its junior competition to the international level and entice students with prizes. It helps the University reach a top-10 market for startups in Asia without duplicating existing efforts, said Terence Lau, associate dean of undergraduate programs for the University of Dayton School of Business Administration. Lau spoke to media in Vietnam at a press conference on May 27 to formally announce details of agreement. HATCH! Battle Junior participants will go through training workshops and then will have 90 seconds to pitch their business idea to judges in Ho Chi Minh City Oct. 7-8. The University will award $5,000 in prizes to the top teams. More information about the 11th annual University’s Business Plan Competition is available online.